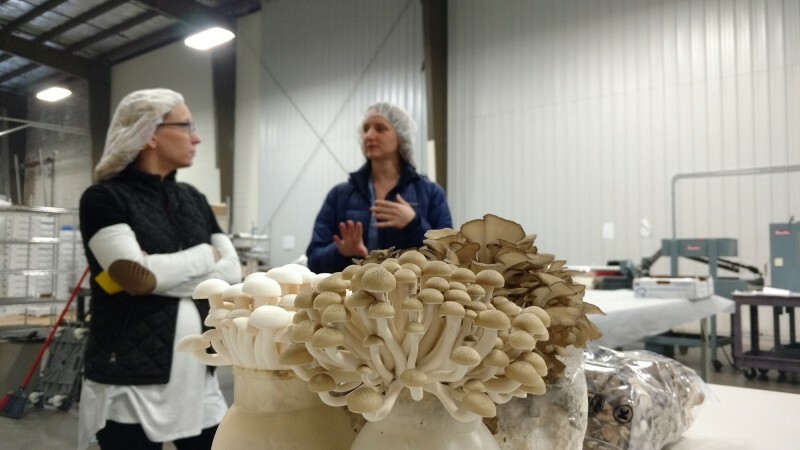 Gourmet Mushrooms Inc. of Scottville sells its exotic mushrooms to high-end restaurants. Now they're donating to people in need. Imagine a crop that reduces waste as it grows, can be cultivated year-round, and contains a ton of vital nutrients. You might not realize it, but you're thinking of a mushroom. The best part: They're being grown right here in Michigan. Gourmet Mushrooms Inc., founded in Sonoma County, Calif., in 1977, opened its Scottville, Mich., location in 2013. GMI grows thousands of pounds of exotic mushrooms, including maitake, trumpet, nebrodini, and clamshell varieties, each week. 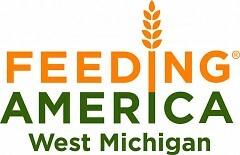 Earlier this year, they made their first donation to Feeding America West Michigan. Today, the property is home to a small office space and two cavernous warehouses. The smaller of the two, North Building, is where workers assemble the “substrate,” a blend of soil, sawdust and other elements in which the mushrooms grow. Once the substrate is assembled, it’s packed into small containers, sent through a steam sterilizer, then “inoculated” with spores. The containers then travel by conveyor belt to South Building, where the mushrooms are grown. 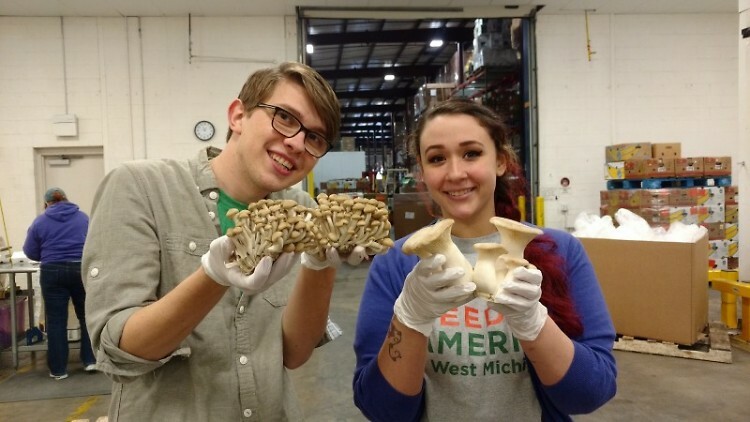 Step into South Building and it hits you immediately — the earthy, peppery smell of exotic mushrooms emanating from 20 “grow rooms,” each about 100 feet long, where the inoculated containers rest on long racks. Every aspect of the climate inside the grow rooms is controlled by computer: temperature, humidity, light, even the CO2 levels. Some rooms are dry and brightly lit. Others are so foggy and dark you can’t see five feet beyond the glass doors. When mature, the mushrooms bloom out of the tops of their containers. All are harvested by hand. From inoculation to harvest, the process takes 55 to 110 days, depending on the variety. With such limited exposure to fungi, it’s no wonder many of us are a little hesitant. Mushrooms are indeed healthy: high-protein, low-calorie, cholesterol-free and packed with antioxidants and B vitamins. They even produce Vitamin D when exposed to sunlight, just like humans do. But a food can only be good for you if you eat it. So how have Feeding America West Michigan’s clients responded to seeing this unusual produce on our Mobile Pantries? Truck driver Ken Cavanary, Jr. said that not a single bag of mushrooms was left over after the distribution he did at Community Christian Reformed Church in Grand Rapids on Jan. 28. 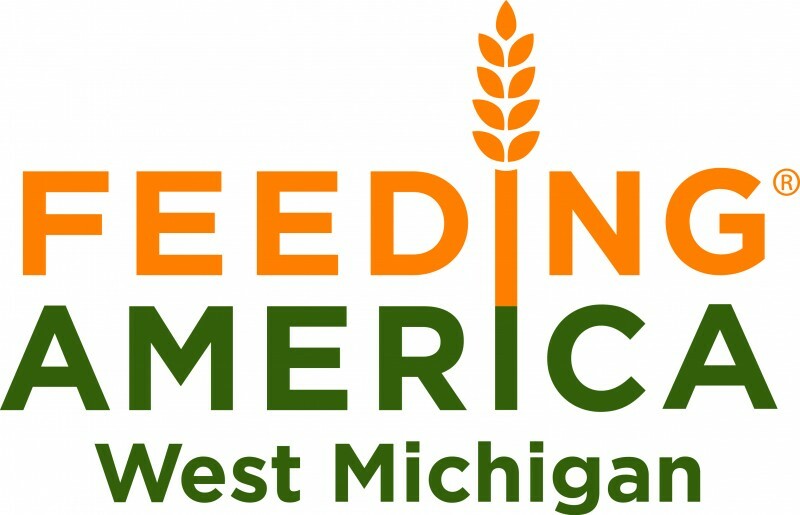 In 2016, fresh fruits and vegetables accounted for more than one third of all the food Feeding America West Michigan distributed. Now, thanks to GMI, there will be one more Michigan-grown crop in the mix this year.